Home/Upcoming Auction/MAY 5, 2018 WEST MIDDLESEX, PA HO, On30, O AND G GAUGE TRAINS, ORIGINAL PLASTICVILLE ARTWORK, LIONEL POSTWAR, MODERN ERA AND MUCH MORE! Stout Auctions is honored to present the HO, On30, O & G gauge trains and Plasticville artwork collection from the estate of H. Lee Riley was employed by Bachmann Industries Inc. for 29 years and was vice president of product development. He was a distinguished member of the hobby industry for nearly 50 years and a longtime active member of NMRA. Lee was instrumental in popularizing On30 narrow gauge railroading and was a member the Narrow Gauge Hall of Fame. 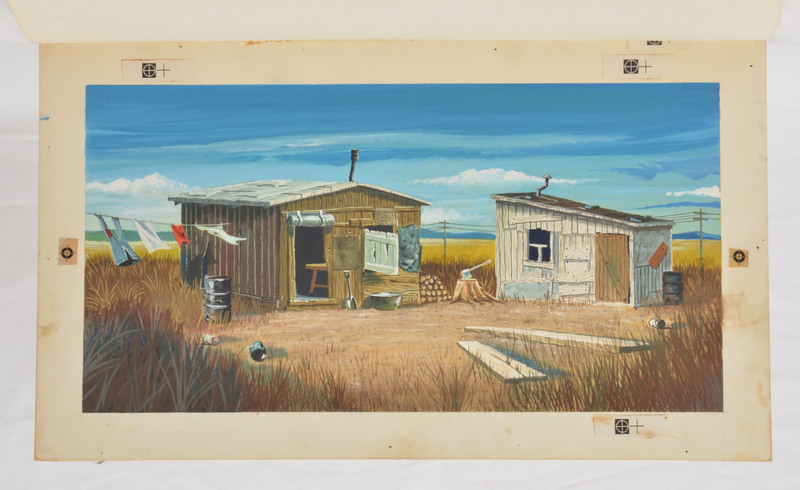 The first half of the auction will feature the H. Lee Riley collection, highlighted by his prototypes and original artwork for Plasticville by Bachmann. The prototypes, sample test shots and original artwork were acquired directly from Bachmann Industries Inc. by H. Lee Riley. Please plan to attend this outstanding sale. For more information please call 724-528-1500 or email katy@stoutauctions.com. Lots 2001-2162: HO gauge including: Bachmann, Spectrum by Bachmann, AHM, Rivarossi, Athern, Roundhouse products, brass, On30 scale and many more manufacturers. Many of the HO trains are prototypes and sample test shots. Lots 2184-2196: Bachmann Plasticville O gauge prototypes, test shots and other Plasticville from H. Lee Riley’s collection. Lots 2197-2272: Original artwork used by Bachmann for the design and production of the Plasticville boxes and blister cards. Lots 2273-2274: Bachmann one of a kind original artwork for family birthday candle holder assortment and Walt Disney Productions Inc. Mickey Mouse candle holders. Lots 2275-2289: Bachmann, Aristo-Craft, Delton, MDC and Piko G scale trains included are many prototypes and sample test shots. Lots 2290-2309: Color posters, drawings, calendars, framed prints and miscellaneous items.